Now that I think about it, I've been a Scar Symmetry fan for five years. In 2006, I felt compelled enough to give the band a closer look, in part due to Per Nillson's virtuoso guitar skills and Christian Älvestam's wonderful smooth crooning. At first, I wasn't smitten with his "what-I-thought-to-be" metalcore-style clean vocals, but I've since changed my mind, making Christian one of my favorite vocalists. Three long years have passed since his departure from the band, and the road to recovery for Scar Symmetry has been never ending with no light at the end of the tunnel. And that makes little sense because Christian wrote very little, if any, material. With that being said, let's dig in. 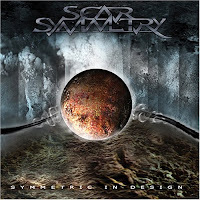 Scar Symmetry's debut album, Symmetric in Design, is decent, but the band suffer from a lack of experience. While each member is certainly skilled at their respective instruments, issues pop up as one weaves through the track listing--specifically with the clean vocals. 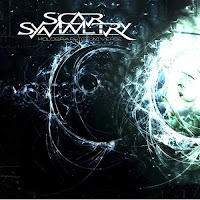 I'm very forgiving toward this, however, because they would significantly improve the next time Scar Symmetry came back with a record. Production-wise, Symmetric in Design sounds a tad dated, though perhaps not as much as other metal records. It's really a minor complaint, but for an album released only six years ago, it's quite tragic. Still, good music will be good music--no matter the sound--and this album doesn't disappoint. Don't run out to get Symmetric in Design, but pick it up if you happen to stumble across it or spot it in the used bin. 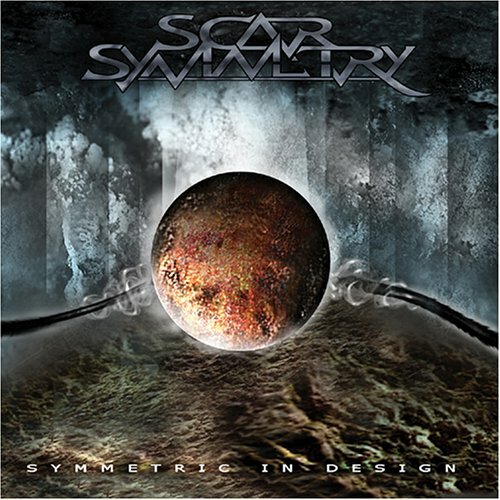 This, folks, is the cake in Scar Symmetry's discography. Pitch Black Progress is their crowning achievement, and the record that would truly make me love their music. With this one, creativity runs high: Christian's vocals vastly improve, Nilson's and Kjellgren's axe-work sounds silky smooth, and the whole band becomes a tight example of melodic death metal. From artwork to lyrics, this album is essentially perfect. There aren't any negatives here, and you're only hurting yourself by not checking it out. Steal car if you have to because you won't want to miss getting to the record store to pick up your copy. After Pitch Black Progress, would it be possible to craft an album to the same standard? It appears so. I still chuckle because Amazon suggested Holographic Universe shortly after it was released, and I didn't pick it up right away--which was a mistake on my part. But better late than never, right? Similar to the prior record, the infrastructure is still firmly in place, but, dare I say it, the band picked up additional pop sensibilities. 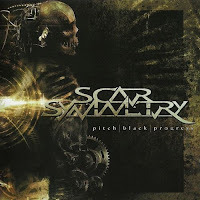 Despite that, you shouldn't be scared because the patented Scar Symmetry sound is still there. Buy this. With Älvestam's departure, two new vocalists took his place: one on cleans; the other on harsh duties. Two guys to replacing one? Uh, yeah. Still, they aren't half bad, but they don't have the emotion, feel, and appeal of the original. That isn't the only loss, however: the introduction of overbearing -core influences, dull and chuggy guitar riffs, and a general lack of creativity make for a steep decline. I'm not a fan of this record, and without question can call it a humdrum of sorts. Avoid Dark Matter Dimensions at all costs. 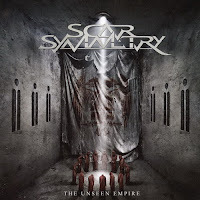 While not on the first three record's level, The Unseen Empire shines a positive light into the Scar Symmetry's camp. I must say, it has its share of listenable songs--some quite good--but when compared with earlier offerings, it sounds watered-down and, much like its predecessor, dull. If you remember, my initial thoughts on this record were favorable, but the passage of time hasn't proved to be kind. 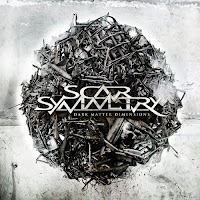 Think Dark Matter Dimensions with this one, though more consistent. Don't run out to purchase this one. Don't look for it, either; although if you buy it, it isn't going to kill you. So, the question remains: Are Scar Symmetry still one of my favorite bands? Yes and no. The release of the last two records have pushed the band off my personal radar--hopefully not for good--for the foreseeable future. My heart still lies with the first three albums because creativity, development, and defining traits were, presumably, the highest they'll ever be. I reckon it helped that Älvestam called the band home on the first three records as well.